Wednesday Game Night. 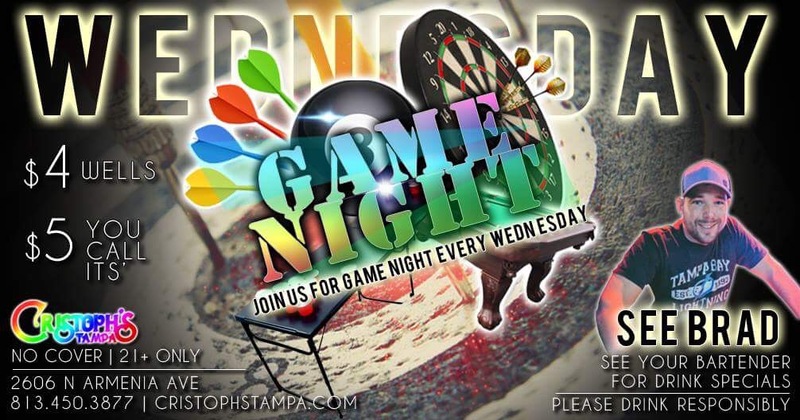 Join us for game night every Wednesday. $4 Wells $5 You Call Its'. See Brad - your bartender for drink specials. Please drink responsibly. No Cover. 21+ and over.